Lemon Broccoli Salad | Pinch me, I'm eating! Let me be honest with you for a minute. This lemon broccoli salad is hardly a recipe. There’s nothing to it. I’ve looked for broccoli salad on Pinterest and seen all sorts of glorious creamy concoctions, with nuts and bacon and chickpeas and cabbage and grapes and cheese and what have you, and by comparison this looks like… a bowl of broccoli. But I’ll tell you another thing. I’ve been eating this broccoli salad my whole life. My whole family has. In fact, my sister Jessica loves it so much she made a special request to her wedding caterer to make this as a side dish for her reception even though it was not an item on their regular menu. It looks simple, and it is, but refreshingly so. 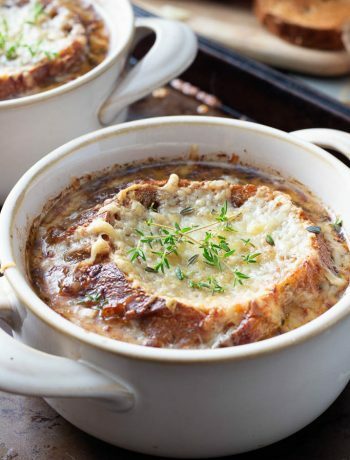 It’s so easy to make that this has been the go-to side dish for Mike and me for the past few weeks for our “easy dinner” nights. Easy dinner nights have lately consisted of Italian sandwiches and a side of broccoli salad, so chips aren’t the only side dish option for sandwich nights when I don’t feel like cooking. Theoretically, I can make a big batch of this at the beginning of the week and we can have it a couple times throughout the week when we have sandwiches for dinner, but in reality we have a really hard time eating only half a batch of this in one sitting. And then we sneak tastes of the leftovers out of the fridge over the next couple days, and then on our next sandwich night we’re stuck with very meager rations of broccoli salad with our sandwiches, and we’re very sad. As a result I’ve been buying more and more broccoli. It really can never meet the demand though, because, like a gas filling whatever space you put it in, my stomach will happily grow to accommodate however much lemon broccoli salad there is in front of me, even if it’s three pounds. I assure you, this is not just a bowl of cold broccoli. 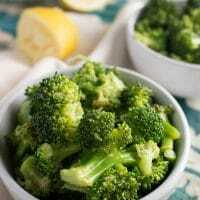 It is, however, just a bowl of cold broccoli with olive oil, garlic powder, salt, and lemon juice. Sure, I could throw in some almonds or something to make it pretty for Pinterest, but it’s just so good the way we’ve been making it my whole life I don’t want to fancy it up just for the sake of a photo. So I’ll stick a lemon in the picture and call it a day. There’s your fancy. I never really measure ingredients for this but I did for you so you can make it yourself. I always adjust to taste though, so please feel free to add more salt or olive oil or lemon or whatnot. I know I should use freshly minced garlic and freshly squeezed lemon juice but I always use garlic powder and 90% of the time I do use lemon juice from a bottle in the fridge. And I use either fresh or frozen broccoli. 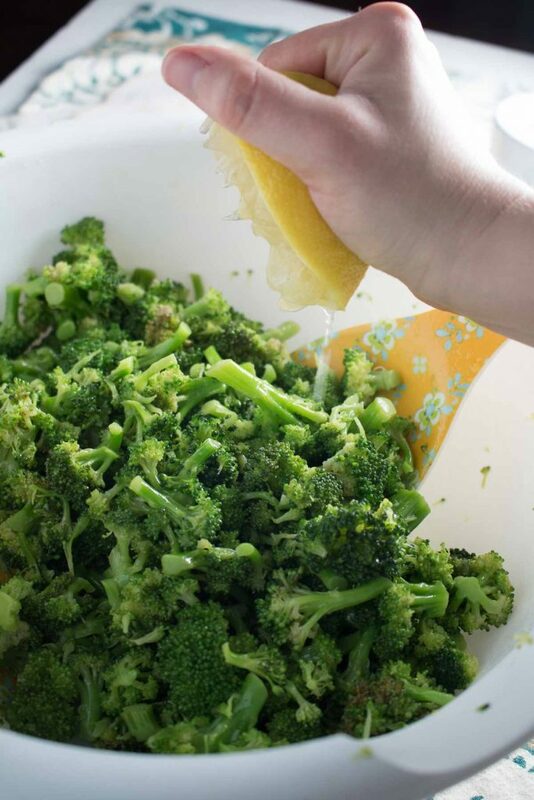 With frozen broccoli and bottled lemon juice, you can always have the ingredients on hand for emergency unplanned broccoli salad, which is a Very Good Thing. With only five ingredients, you wouldn’t think there’s a trick to it, but there are a couple. The first and most important one is always use broccoli florets. 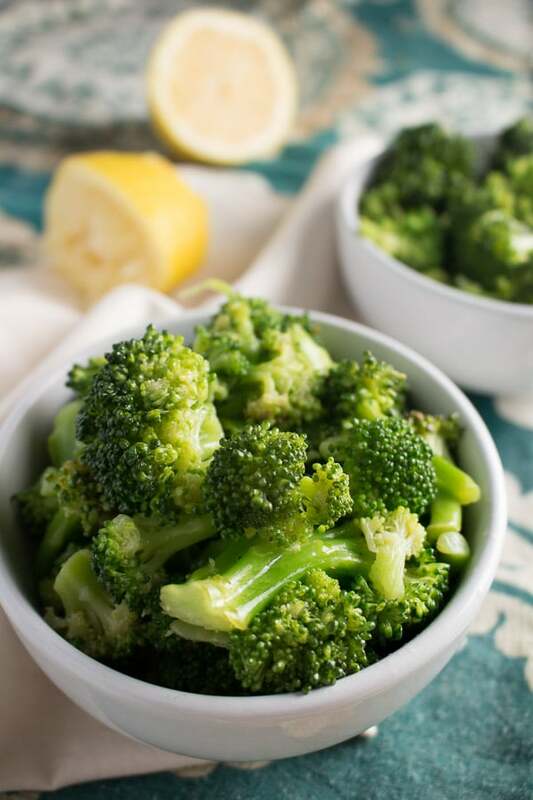 Especially if you’re buying frozen broccoli – make sure it says “broccoli florets” and not “broccoli pieces” or “broccoli spears.” It’s like buying a certain shape of pasta that holds a certain sauce better – the florets are like a sponge for the lemon dressing, whereas it just slides off the stalks. The second one is more of a hack. Ideally, you plan ahead, steam your broccoli, and give it a couple hours in the fridge to chill before you add your dressing. In an imperfect world (achem, my world, many times) you realize it’s 8:45 p.m. and you still haven’t eaten dinner and you didn’t steam any broccoli because you were planning on making fajitas but all you have energy for right now is sandwiches and you don’t want to eat dinner at 11 p.m. If you have a little time, steam your broccoli and then throw it in the freezer instead of the fridge to chill. Just don’t over-freeze it. 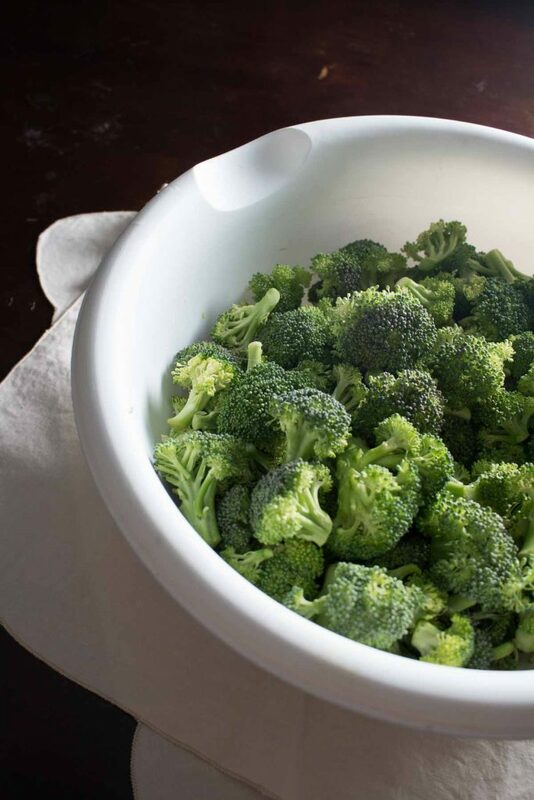 If you have no time, steam your broccoli, then cover it in ice water like you would if you had blanched it. Swirl it around until it’s nice and cold, add more ice if necessary, then drain the water and ice cubes. To dry it off, I put a couple paper towels on top, put on the lid on my big plastic bowl I steamed it in, and shake it up. Remove and replace the paper towel, and repeat until the paper towel comes out fairly dry. Dressing doesn’t stick well to wet broccoli. I’ll tell you how I make adjustments to the dressing too. If it tastes wet, add more olive oil. If you don’t taste the garlic as a slight aftertaste in the back of your throat, add more garlic. If it tastes boring, add more salt. If it’s not lemony enough, add more lemon juice. (this can happen when using fresh lemons too because some lemons are just not as lemony as others) Beware though, there’s sort of a bell curve of the perfect amount of lemon juice. Below the peak it’s not lemony enough because there’s not enough lemon juice. At the peak it’s perfect. Above the peak it’s not lemony enough because there’s TOO MUCH lemon juice, it’s now made the ratio of olive oil to lemon juice out of balance. It is now too watery for the amount of olive oil, and all the dressing has now fallen off your broccoli. Now you’re back to “tastes wet,” so add more olive oil to salvage it. It may look like just a bowl of broccoli, but I hope you can see now that it is, in fact, an art. 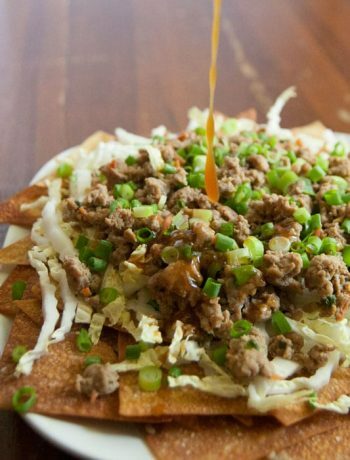 It’s also a quick, healthy, and delicious alternative to chips when you need something easy to go with your sandwiches or whatever your default “easy meal” is. And you’d better believe there will be a giant bowl of this at our Easter party in a couple weeks. 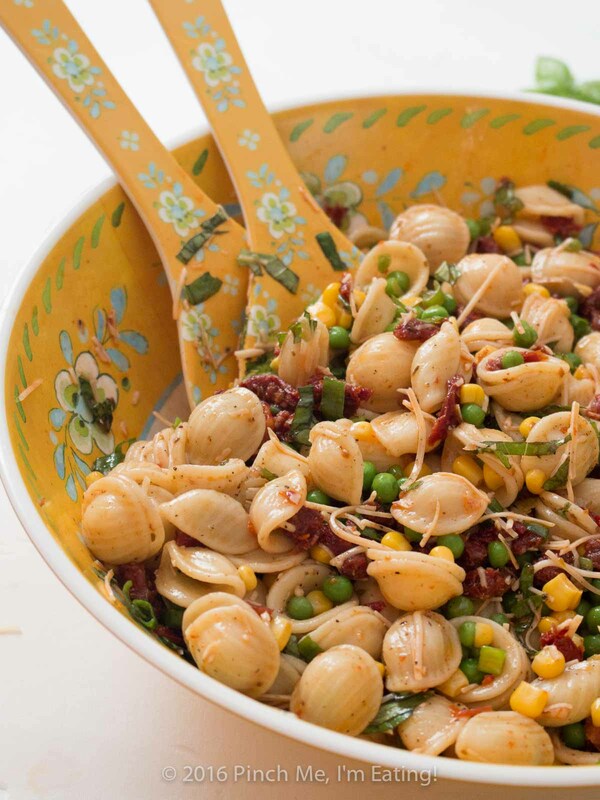 What’s your favorite easy side dish or easy dinner? Tell me in the comments! Follow me on Facebook to stay in touch and see some great recipes from around the web! 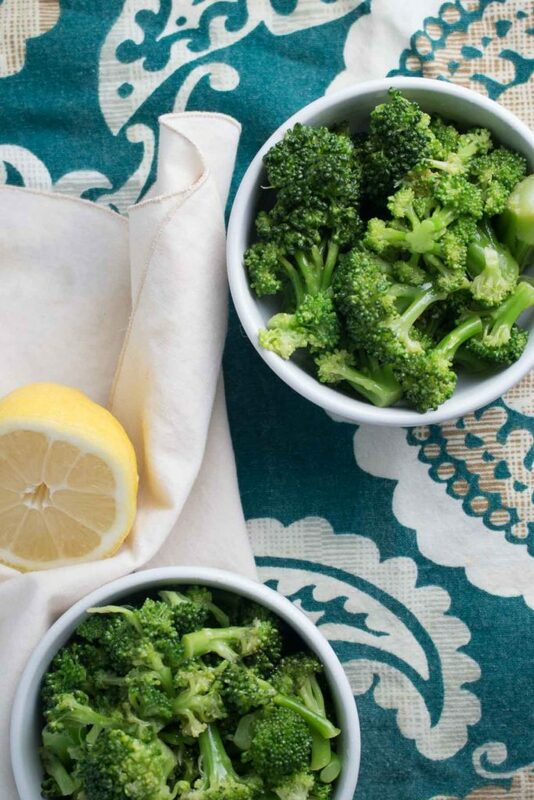 Put broccoli in a large, microwave safe bowl with a splash of water and cover. Steam broccoli in the microwave for 5-8 minutes or until it's crisp but has lost the "raw" texture. Chill until cold. A couple hours in the fridge should do it, but please see my notes in the post for quicker alternatives. 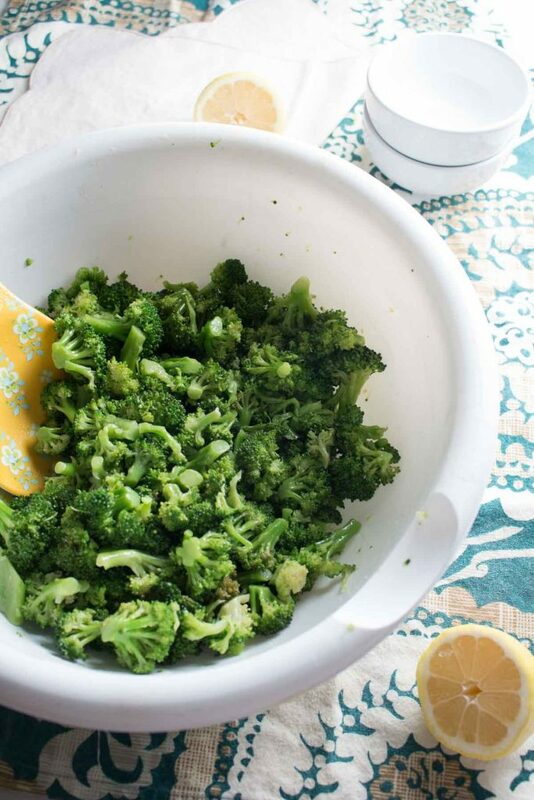 When broccoli is cold, toss with olive oil, salt, and garlic powder. Add lemon juice and toss again. Adjust seasonings to taste (see notes in post). This is exactly the way I make a broccoli salad, although no garlic for me! I will add a sautéed shallot or top with crispy shallots, though! Yum! Yum, sounds good! I do love my garlic though. It’s perfect in its simplicity, isn’t it?